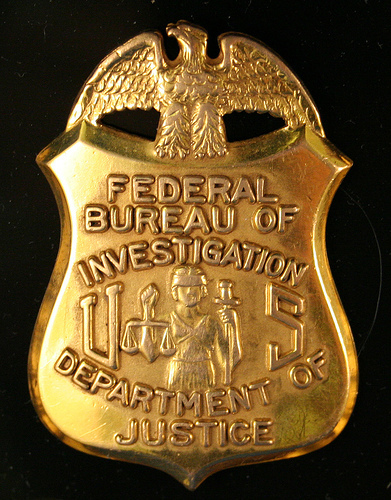 A Maryland man was hit with the maximum three-year prison sentence on Thursday for impersonating an FBI agent, who said he could get discounts on real estate deals because he was with the bureau. It was the second time he had been convicted of impersonating a federal officer. U.S. District Judge Alexander Williams, Jr. of Greenbelt, Md. sentenced John Angus Milton McBean, Jr., 41, of Oxon Hill, Md., after he pleaded guilty on Thursday. Authorities discovered the problem after someone contacted the FBI to say that McBean was posing as an FBI Special Agent and offered to assist the person in buying a home. McBean told the person as an FBI agent he had access to residential properties at significantly reduced prices, authorities said. He offered access to such property for an initial payment of $2,500. The person then gave him a partial payment of $775 as a down payment. In May, the person interested in buying the home introduced an undercover FBI task force officer to McBean, who posed as a friend interested in the real estate discount. McBean drove the original buyer along with the undercover task force officer around Upper Marlboro, Md., in suburban D.C., to look for home. McBean solicited a “down payment” of approximately $2,700 from the undercover officer. Authorities said that McBean said that he earned $37,000 a month at the FBI, where he had worked since 1984. He also said that he attended the University of Miami, majoring in psychology and hostage profiling and that he handled the transfer of dignitaries at “Andrews Air Force Base;” presently had an office in the White House, where he supervised U.S. Secret Service agents and owned several adult entertainment establishments and car dealerships. He was arrested on arrested on May 31. He was previously convicted of impersonating a federal officer and was sentenced in 2007 to 18 months in prison. Posted: 7/1/11 at 8:57 AM under FBI, News Story.